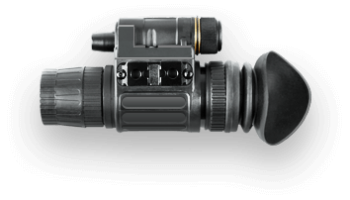 The NVM14 night vision monocular device is one of the most rugged and easy to use monoculars available on the market. Created with military grade hardware and materials, the NVM14 is designed to survive even the roughest and toughest of environments. 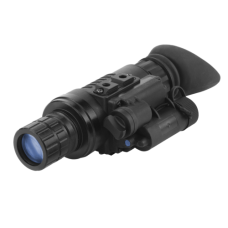 To that end, it is also waterproof to ensure no obstacle is too tough for this monocular. Good things sometimes come in small packages, and nowhere is that more true than in ATN's NVM14. 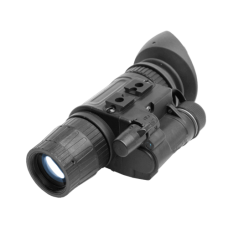 It uses the same high quality photocathode image intensifier tubes as in some of ATN's scopes and larger devices, but packed into a tiny monocular device. Plus, the monocular is designed to be used with only one hand. Its ergonomically designed shape, and easy to reach controls, leave one hand free. In addition, automatic brightness control and a bright light shutoff simplify usage, and keep your image clear and focused, even in conditions when the brightness around you can change at a moment's notice. 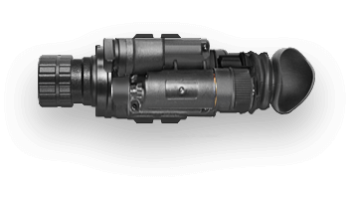 The NVM14 is designed with a built in infrared illuminator for when the situation is at its darkest.